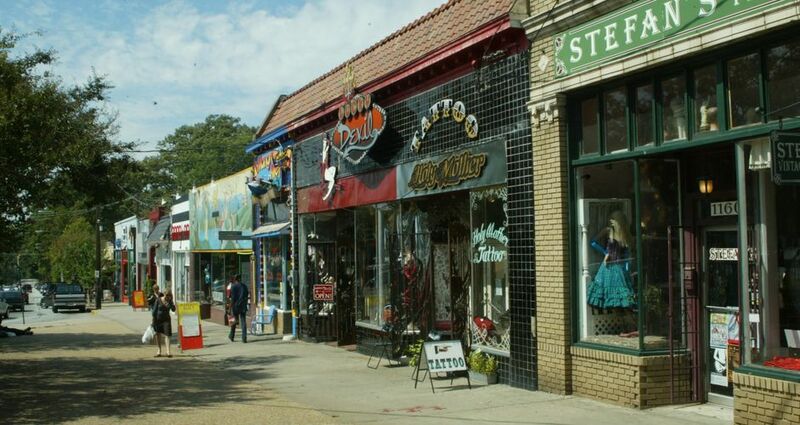 Bordering Inman Park, Candler Park and Poncey-Highland, Little 5 Points packs an array of eclectic dining, shopping and entertainment between Moreland and Euclid Avenues. Use the evening guide below to explore Atlanta’s bohemian center. Dining: Choose from more than 430 microbrews and sample tasty bar snacks at The Porter Beer Bar, voted “Best Bar Food” by Creative Loafing. 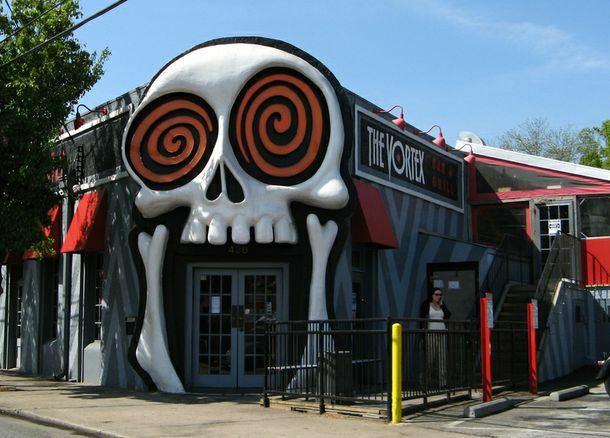 Don’t skip a visit to the iconic Vortex Bar and Grill, known for its one-of-a-kind burgers. If you dare, try the Triple Coronary Bypass Burger, made with three burger patties, three fried eggs, 14 slices of American cheese, 10 slices of bacon, served between two grilled cheese sandwiches. Entertainment: The Variety-Playhouse is a World War II-era theater converted into a playhouse and nightclub. Shows range from tribute bands, local musicians and comedy acts, to well-known talent like Colbie Caillat and Gnarls Barkley. For a more intimate experience, mosey over to Star Community Bar and Vinyl Lounge. 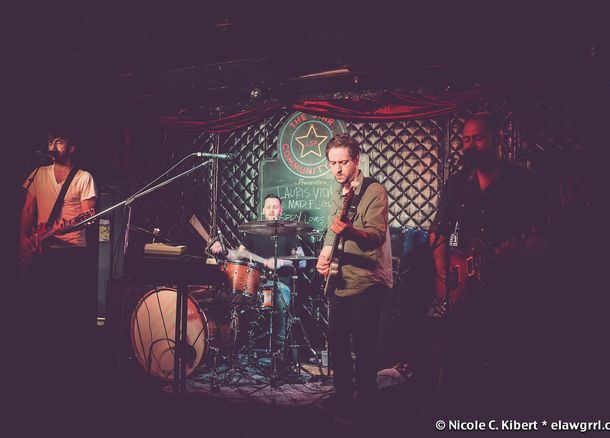 This popular live music venue hosts a variety of late-night entertainers throughout the week, including comedians, DJs and bands. Don’t miss the tucked-away shrine to Elvis Presley, featuring a replica of the notorious golden toilet. Thespian options abound with Dad’s Garage Theatre, Horizon Theatre Company and 7 Stages Theatre; performing comedy acts, original plays, well-known dramas and more.